Few English cities are more aesthetically pleasing than Southampton, with its rugged docks and the exquisite New Forest on its doorstep. So it's no surprise, then, to discover that the south-coast city's attractiveness extends to its art galleries. Southampton Art Gallery, Civic Centre, Commercial Road, celebrates its 75th anniversary this year. Its permanent collection traces the story of western art from the Renaissance to the current day, with post-impressionism, surrealism and progressive contemporary art from the mid-1970s featuring strongly. The gallery is currently featuring Artists in Tandem: Eric Meadus with LS Lowry and Larry Wakefield and Roger Hilton until March 22. Here, two sets of artists are juxtaposed to reveal links in ideas and approach and lend a greater appreciation into their creative processes than when each is viewed in isolation. The John Hansard Gallery at the University of Southampton, Highfield, is one of Britain's premier public galleries of contemporary art. It is eagerly anticipating its next main exhibition, Ship to Shore: Art and the Lure of the Sea, which runs from February 8 to May 4. It is a fitting showcase for a city which is such a hub for transatlantic travel. This “intriguing visual feast for all ages” comprises paintings, artists' films, photography, sculpture and prints. It aims to evoke the vastness of oceans, the romance of sea travel and ship-to-shore communications through exhibits such as Thomas Joshua Cooper's ghostly photographs. The gallery shares the display with The Pavilion at SeaCity Museum, Havelock Road, which showcases pieces by artists including Tracey Emin and Tacita Dean. Solent Showcase, Sir James Matthews Building, in the city's emerging cultural quarter on the new city square, features present-day visual art that stimulates the mind. Its just-opened Sound Matters multi-sensory exhibition examines where sound becomes art, and runs until March 8. Exhibitors include sound artist Max Eastley, who employs electricity and the environmental forces of wind, water and ice to create sound sculptures. Composer Cathy Lane examines the way sound relates to the past, including our histories, environment and memories to form “docu-music”. Visited Southhampton and found a hidden treasure? Contact us through Facebook, Twitter or comment below. Catherine Yass, Lighthouse (North), 2011. Duratrans transparency, lightbox. Copyright the artist. Courtesy Alison Jacques Gallery, London. Isaac Julien, Western Union: Small Boats (The Leopard), Duratrans image in lightbox, 2007. Courtesy the artist and Victoria Miro, London. 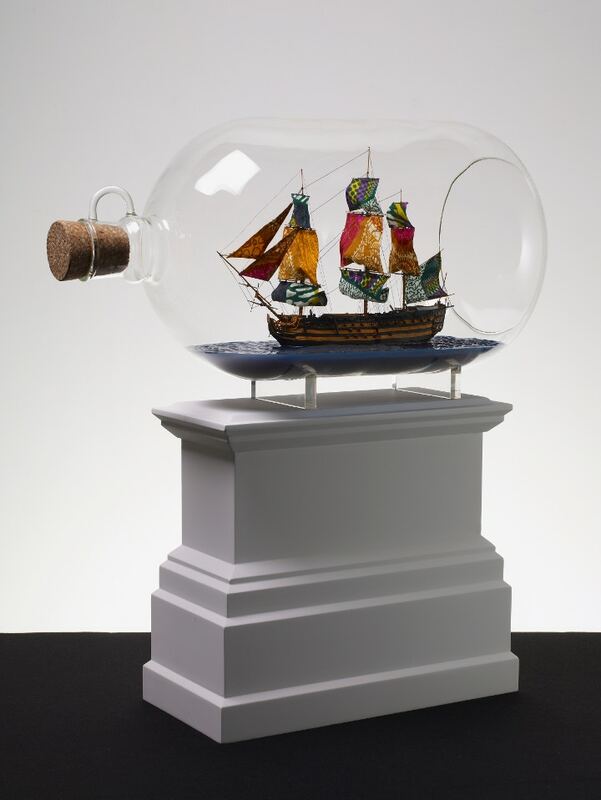 Yinka Shonibare MBE, Nelson’s Ship in a Bottle, 2009. Copyright the artist. Courtesy the artist and Stephen Friedman Gallery, London.